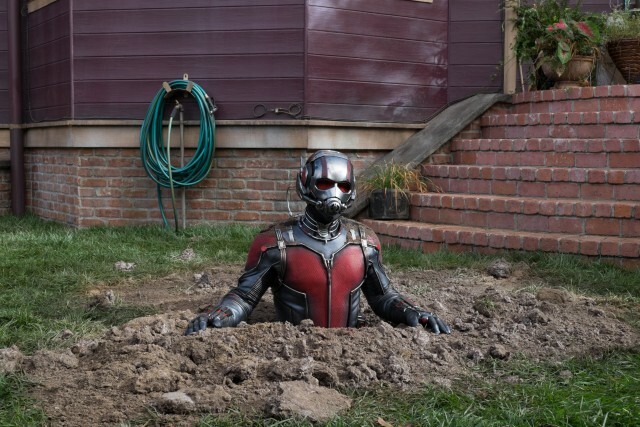 Ant-Man Review – Is this Superhero ready for the Heist of his life? The development of Ant-Man started as far back as 2006 and to say it’s had a few set back’s along the way in production would be an understatement. I for one never thought this film would materialise but thankfully it’s now made its way to the big screen. For those that aren’t your typical comic book geeks and just enjoy the Marvel films for what they are you wouldn’t know that Ant-Man is actually the founding member of the Avengers. This is the first time Marvel have dedicated a film in his honour. We don’t have to wait too long before the makers of this film give a respectful nod to the Avengers when Scott has to obtain a vital piece of equipment which so happens to be located at their Headquarters, giving us a sneaky peek at the new Avenger, Falcon, in a little cameo. Even though we basically bypass Pym’s story of being Ant-Man he is also given a respectful nod, a certain ‘showing respect for your elders’ was embraced as he made way for the much younger version in Scott Lang. 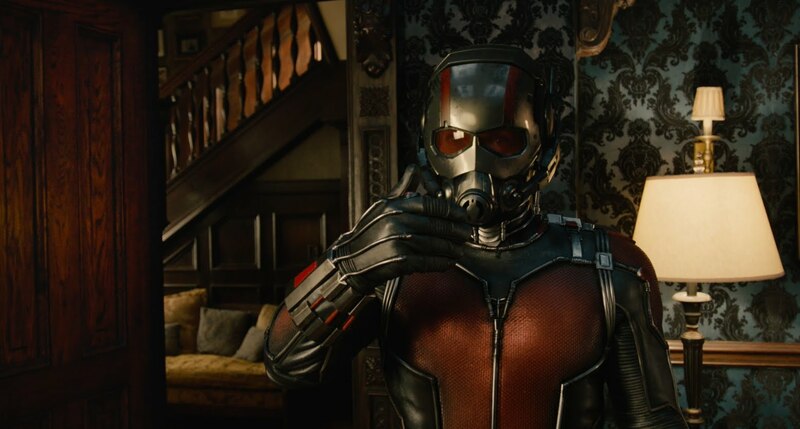 A major appeal of Ant-Man is it’s not just your typical superhero story; it’s a heist movie too. We may have witnessed one too many heist movies over the years but this is one with a difference, one that isn’t just for one’s own selfish gains. Edgar Wright and the rest of the writers have created such a slick and interesting storyline, it’s extremely well written and will keep you entertained until the very end, please note you have to stay till the very end of the credits before this film is truly over. Another great element of the film is the light hearted humour, which caused the cinema full of critics to let loose many a belly laugh constantly throughout, yes this may come from a great script but hats off to the cast who pulled this off so well. From Michael Pena’s Luis even though he has had to overcome many hard times, he stays upbeat, Michael Douglas’s Pym who has a dry wit and off course from Paul Rudd’s Ant-Man, who know after seeing the film could not see anyone playing the role better. He was the perfect casting even if I did have my doubts at first. We’ve also seen Rudd in a completely new light when he gets to take his shirt off, He would have guessed he’d turn out to be a new heart throb. So this should appeal to the ladies too. Ant-Man is out in cinemas on the 17th of July. Ant-Man Antsibition will also be held at Old Street Station between the 13th & 17th of July in London. Click here to read the full story. Previous articleB*tch please: why are women so threatened by their peers? Next articleNew Movies Coming Out This Week 10th July.